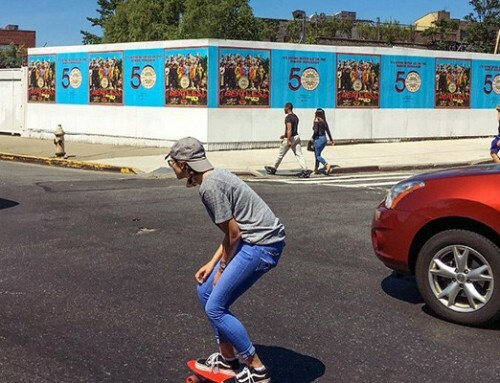 Picture a familiar street in your mind and seeing a plethora of colorful posters side by side. The visual armada would catch you off guard and grab your attention. So how should you get started? 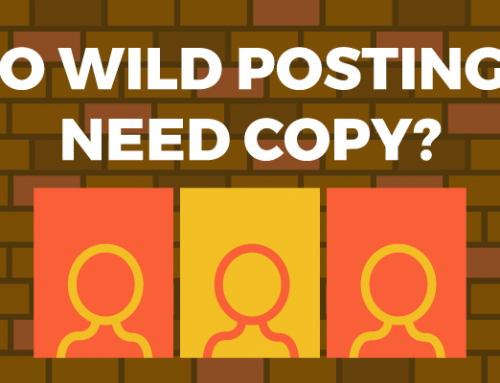 Here are a couple things to keep in mind if you want to up your ad game with Wild Posting. You always want them wanting more. It’s as true in dating as it is in advertising. It’s also one of the best parts about Wild Posting. “Length of Flight” is an industry term for the amount of time your Wild Posting is visible to potential customers. 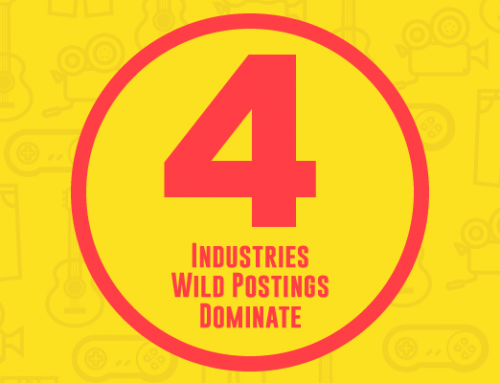 The average length of flight for Wild Posting is anywhere between 1–4 weeks, though most entertainment clients want no more than 2 weeks of visibility. A “creative” is an industry term for a graphic/picture of a person, place or thing. Ever come across a wild posting mockup with 4 images sharing 1 poster? 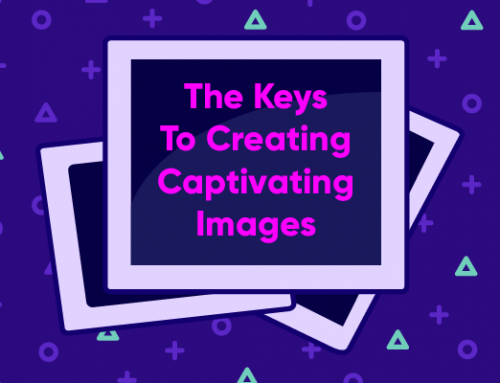 Each image is a creative. 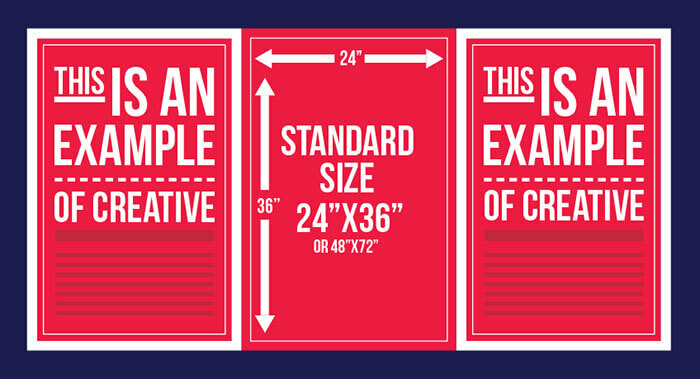 The industry standard sizing is 24×36 or 48×72 (24×36 is 1/4 of 48×72). Why? Posters with concave and convex images don’t fit well together and the end result is an ugly depiction of your brand. Also, the price of the finished product increases with its size. The industry standard usually works best with the average company’s budget constraints. There is a reason the old real estate saying sticks around. It’s true and the roots of its wisdom extend just as far into wild posting advertising. If your target audience doesn’t see your ad it doesn’t matter how cool or how flashy the graphic is. Location is key in Wild Posting New York, Wild Posting Los Angeles and anywhere you want wild posting advertising to entice your target audience. The question is, are you a white hat or a black hat? 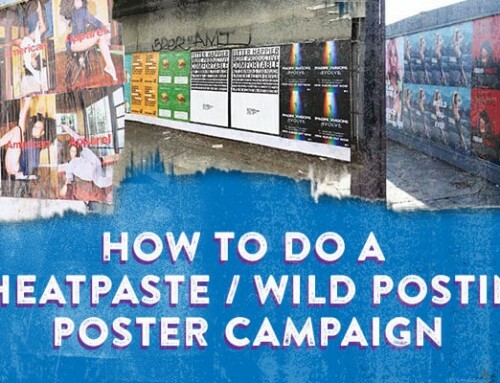 In most cities, wild posting is Illegal on private property and many public spaces without permission from the owner. 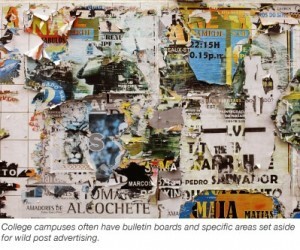 Construction sites are a great posting space with the proper permits and college campuses often have bulletin boards and specific areas set aside for Wild Post Advertising. If you want to live on the wild side, illegal locations are also an option. Illegal is cheaper, though it’s a crap shoot for how long the poster will be up before the owner discovers it. This is pretty much how it sounds. 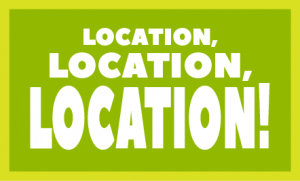 A dedicated location is the one and only place your wild posting is visible to your target audience and any other potential customer who wanders across the poster’s path. Where wide spread locations are either in multiple walls, boards, construction sites etc. sharing space with other wild postings. 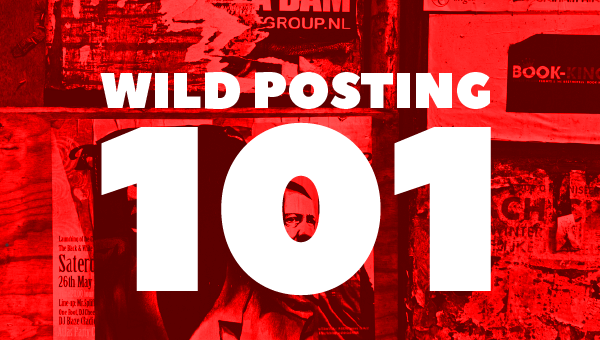 Wild Posting is a cool and captivating way to excite your target audience. It’s an out of the box marketing tactic that can jump start your brand’s visibility.